You can search for “everything” or select the type of objects to search: People, Jobs, Companies, Groups, Universities, Posts, or Inbox. In this post, I will cover the searches for each type of the object in the Universal search dialog. If you think you can type a Boolean expression- as an example, (Developer OR Engineer) NOT Manager – and find any of those types of objects as the Boolean logic dictates, think again. It’s actually NOT the case. Searching for each type of object has its own rules and they are NOT the same. Search for People accepts the Boolean syntax – AND, OR, NOT, (). 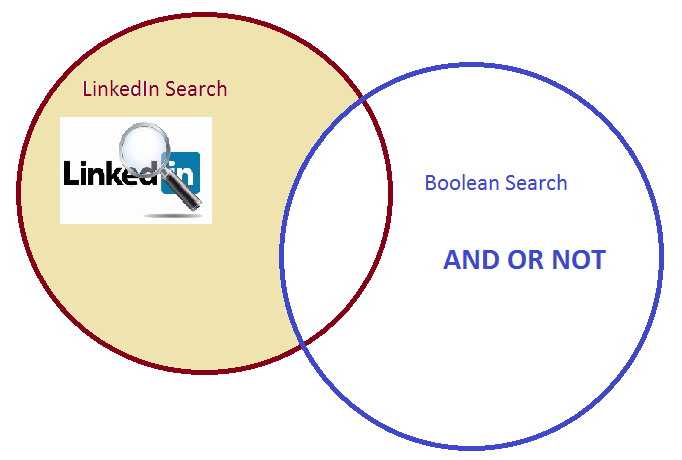 There are other search dialogs in LinkedIn that do and don’t support the Boolean search syntax.